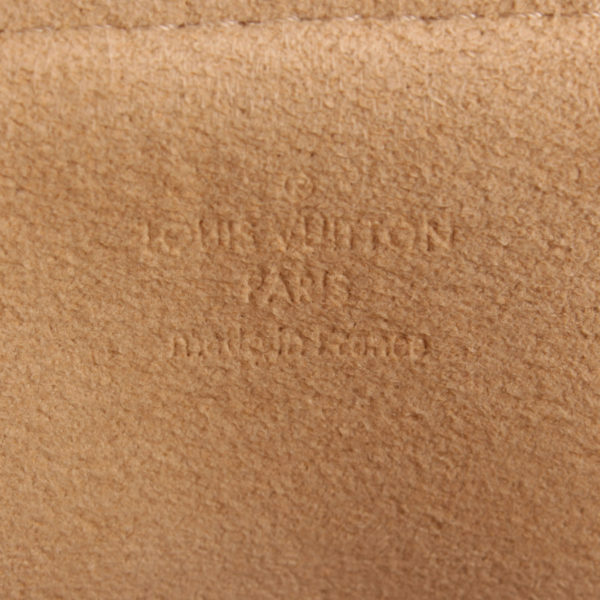 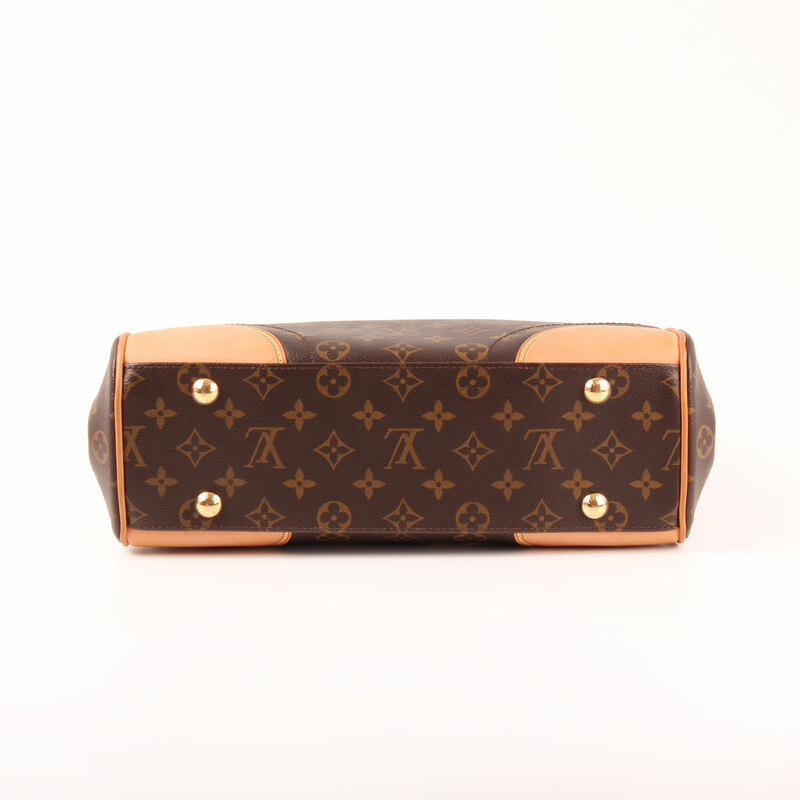 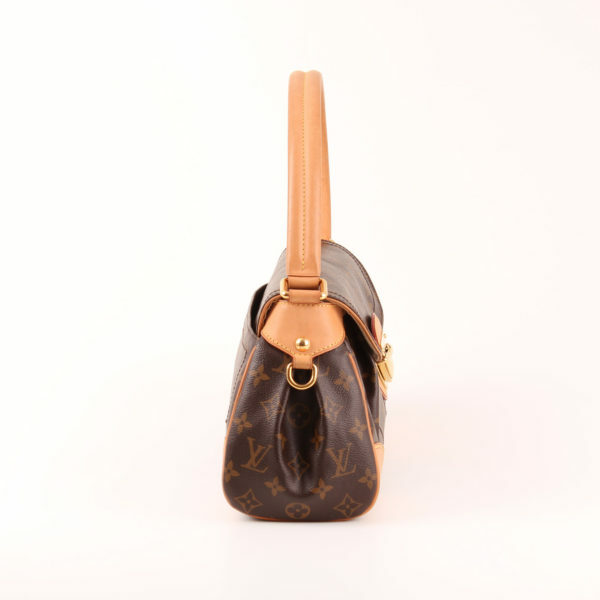 Louis Vuitton Beverly MM Monogram. 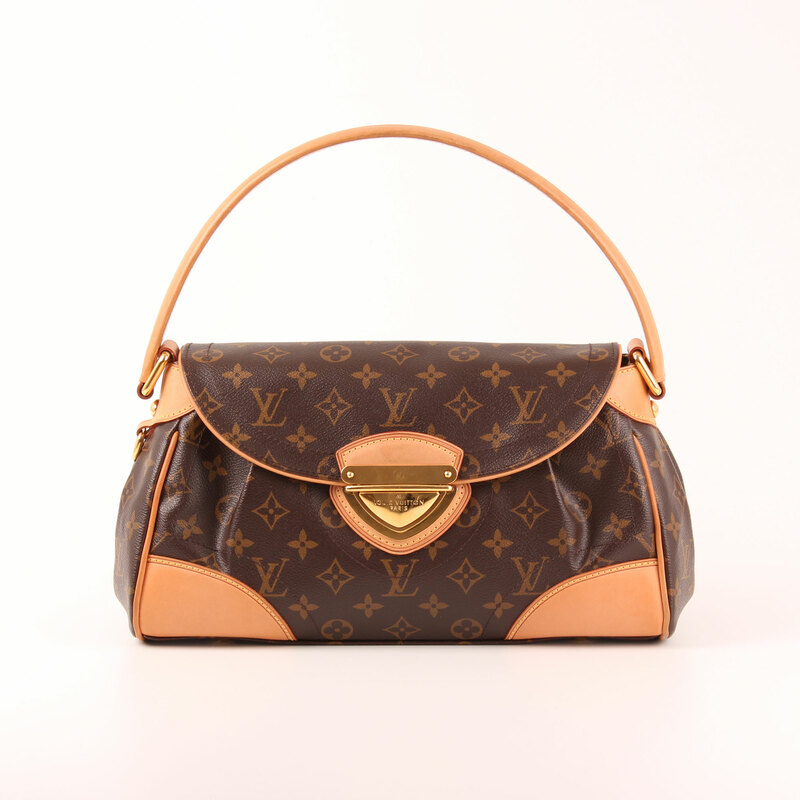 Classic elegance from Vuitton; suitable for many occasions. 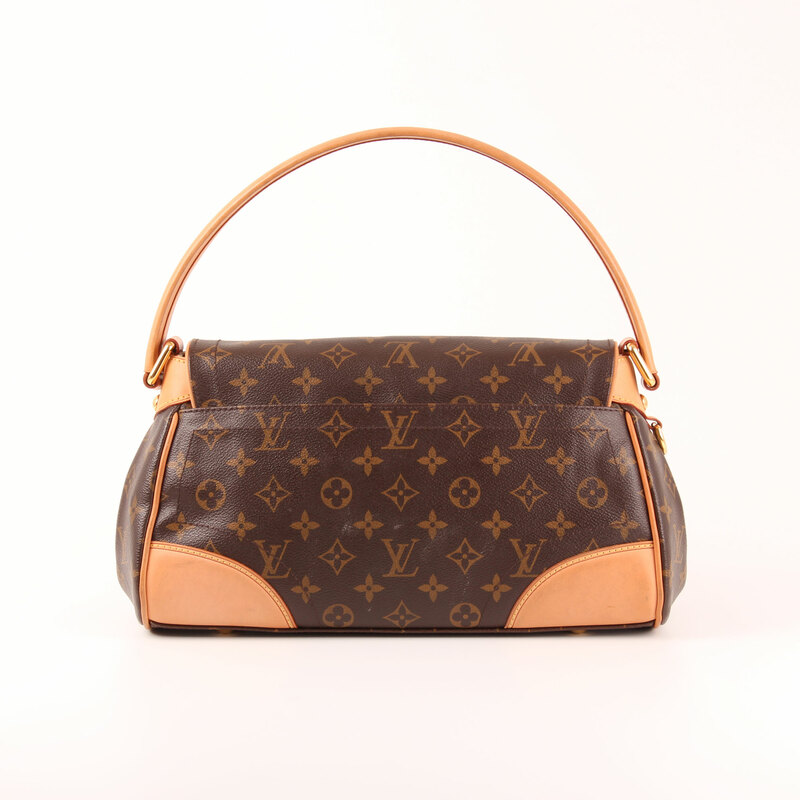 Classic and elegant Beverly MM in monogram canvas and natural cow leather. 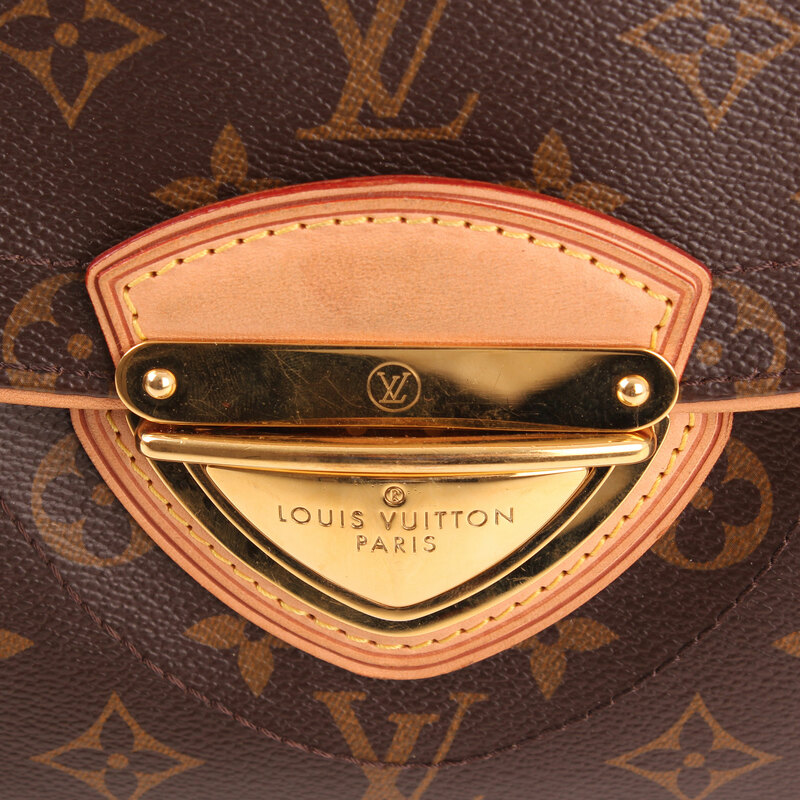 If features gold hardware, thick leather handle to carry on shoulder, metal push-lock with name and logo of brand engraved on it and reinforced leather angles. 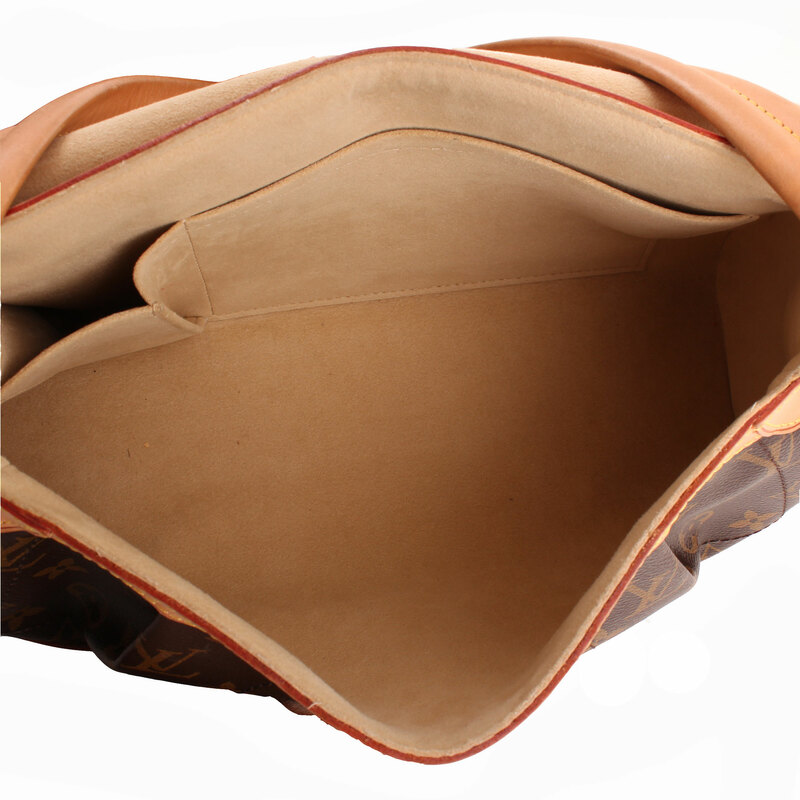 Under flap the bag opens up to a beige suede lining featuring two open pockets. 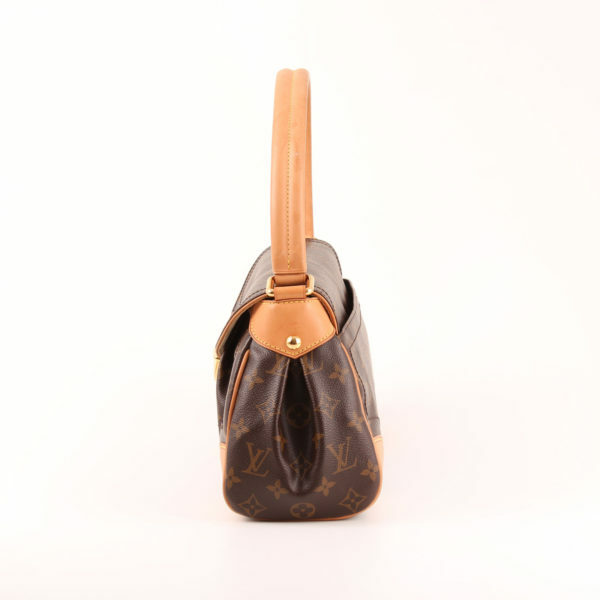 Back exterior pocket as well. 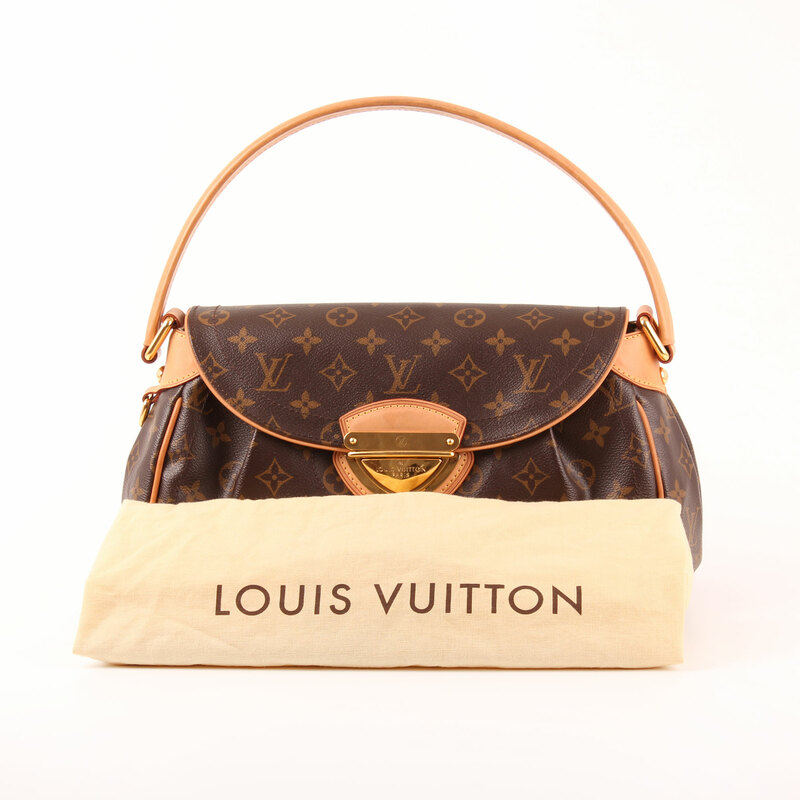 Includes dustbag. 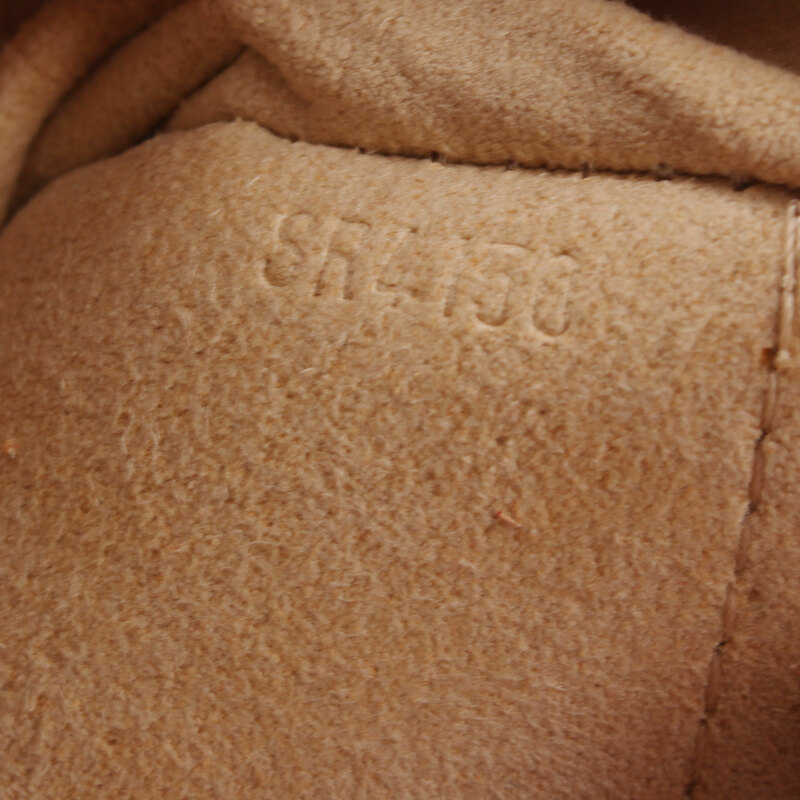 Details: Signs of wear in canvas, mainly in the back part. Scratches in handle and leather trim.